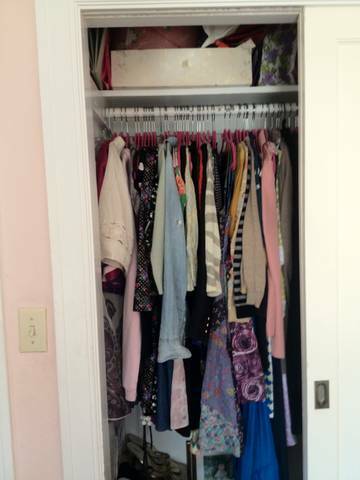 This is half of my closet. Only half. And somehow I have to bring it all to college in two days and jam everything into a cramped dorm closet. I'm told that I need to choose, choose what articles I find most important, most neccessary for my survival at school. But how does one choose? I love every single item of clothing that hangs from this closet. That's why I have these pieces! Because I love them so! Packing in general is very stressful.